Love Lube, Love Your Chain! Keeping your tyres pumped up to the correct pressure will help you stave off punctures and premature tyre wear. Running your tyres under-inflated will wear out your tyres quicker and can cause the tyre walls to crack and split. Under-inflated tyres also make pedalling a lot harder and will slow you down. Flat tyres means lumps, bumps and potholes will be able to damage your tyres and wheel rims a lot easier too. Owing to significant differences in volume, air pressure and tube/tyre thickness you will need to pump up your bike tyres a lot more often than your car tyres (although running both types at the correct pressure will save you money and help keep you safe). You should be able to find the recommended pressures for your tyres on the side of the tyre. 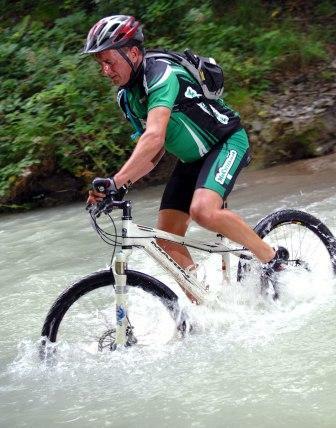 Typical pressures for mountain bikes would be 40 – 50 psi, 65 psi for hybrids, 100+ psi for racing bikes. Children’s bikes are generally about 35 psi. But don’t take my word for it look on the side of your tyres. Other information you will find there is the size of your tyre and whether it has any puncture protection built-in by the manufacturer. If you find you struggle to attain a high enough pressure with your hand pump you would do yourself a big favour by investing in a track pump (sometimes called a floor pump), which should not be confused with a foot pump. Unscrew the dust cap (plastic cover on top). Unscrew the little brass bit on top of the valve, and tap the top of the valve to let a little bit of air out and break the valve seal so you can get some air in. If you have a track pump, or you are borrowing the one in the shop, push the pump head onto the valve with the lever down, then lock it in place by flicking the lever up (this may seem unnatural but that’s how bike pumps work). If you are still not sure, pop into the shop with your pump and we’ll sort you out. Chains that are properly lubricated last longer, shift better, don’t prematurely wear other parts and are quieter. Use proper bike lube, do not use WD40. WD40 is good for penetrating rust, or displacing water, but not for lubing your bike. Modern bike lubes are fairly light and contain Teflon or silicon. A little lube goes a long way. Too much lube attracts dirt and grit to your chain, which will cause premature wear to your bike’s drivetrain. Too much lube will also find its way to your legs, clothes, wheel rims or brake pads. There are many brands of chain lube to choose from, but there are two basic types: wet lube and dry lube. The clue is in the name. Wet lube is used when riding in the wet and mud, but during our long, hot summers it will attract dust and dirt. During those sunny days a dry lube will work exceedingly well, and your chain will be lovely and clean, but it will wash off during a rainstorm. To apply your lube, put a tiny drop on each roller of the chain. If you have an aerosol make sure you use the long, thin, plastic tube to direct the lube to where it needs to be. When you have done all the rollers on all the links, grab yourself a clean rag, pedal backwards and wipe off the excess. There are other places to lubricate if you love your bike, but again, they only need a drop. The pivot points on your derailleurs and your brakes (not hydraulic ones) will also benefit. Keep the lube away from your brake pads and wheels rims. If your brakes squeak DO NOT OIL THE PADS! If you use your bike it will need cleaning from time to time to wash away dirt and mud, and remove old lube that may be splattered around. The mud will respond to warm, soapy water and everything else will disappear under some citrus degreaser, a clean rag, and some elbow grease. Do not spray the degreaser onto the bike, spray it on the rag and wipe the bike. If you have to use a hose (or that nemesis of bikes – a pressure washer!) do not direct the jet onto your wheel bearings, headset, drivetrain or bottom bracket. It will have a similar effect to spraying degreaser in your bearings. Fed up doing the same old route? 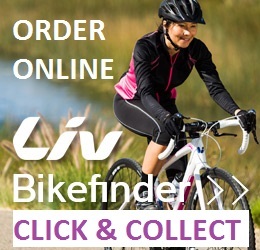 You need someone to ride with and encourage you to get out on your bike? Join the club! Try the area’s newest club which seems to have something for everyone, Cycle Seahaven: www.cycleseahaven.org.uk. If you like your play time to be wet or muddy try the Brighton Explorers Club who have a mountain bike section: www.brightonexlporers.org. Or the area’s newest club which seems to have something for everyone, Cycle Seahaven: www.cycleseahaven.org.uk.